In the classroom next door at the Northwest Washington, DC, school, Alicia Passante, the charter network’s English-as-a-second-language program manager, confers with two 2nd graders on how a news story about a 15-year-old advocate for African girls’ education relates to Article 2 of the Universal Declaration of Human Rights. It’s an international document that Passante says even some high school students would have trouble interpreting, but in this ESL After the Bell program is a primary tool for linking academic standards to English learners’ (EL) understanding of their own cultural heritage and the struggles that many parents go through to make sure their children receive a good education. “The biggest thing ELs need is background knowledge,” Passante says. The program was launched in 2012 after school leaders noticed that EL students were performing lower than their peers on core literacy standards. This gap resulted in Petworth being identified as a “focus” school by the DC Public Charter School Board, even though overall it was a “tier one” high-performing school. Hiring classroom teachers to work in after-school programs can create more continuity for students and ensure that the activities and material covered after school are in line with content standards and address the goals for that school’s population. Just this month, Chalkbeat reported that Nikolai Vitti, superintendent of the Detroit Public Schools Community District, has decided that district personnel will now operate most after-school programs instead of partnering with outside organizations such as the YMCA or other providers. Saving money and providing closer alignment between after-school programs and the regular curriculum were among the reasons he cited for the change, but many of those community-based providers are clearly unhappy and say that they can also deliver high-quality programs. In many districts, partner organizations will operate the after-school programs and still hire classroom teachers or work in partnership with teachers to ensure that lessons support the curriculum. Jennifer Rinehart, the senior vice president for research and policy at Afterschool Alliance, said the organization supports a mixture of both teachers and staff members from nonprofit organizations working in after-school programs. Another document from the organization states, "The blending of teachers and non-teachers allows for a wide range of expertise and a breadth of adult perspectives that can help youth feel comfortable learning and exploring and ultimately contribute to their success." Staggering school staff members' schedules so some educators are able to "bridge" normal school hours and the after-school program is another way to create "continuity between what happens during the day and what happens after school," she says. 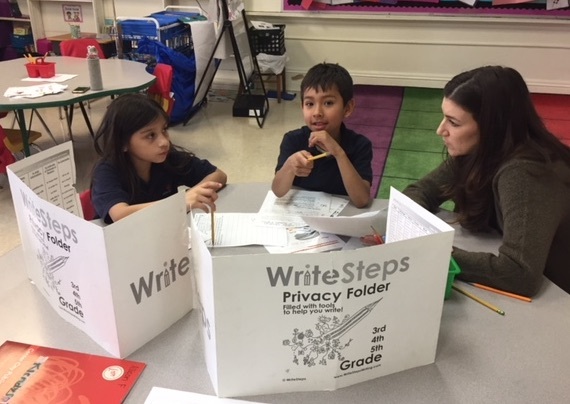 Alicia Passante discusses human rights with two 2nd-graders. At Center City, leaders say growth in students’ language and literacy skills is enhanced because of the connections they already have with their teachers. “This is based much more on relationships,” says Robin Chait, the director of policy, development and communications for the network of six charter schools. At ESL After the Bell, students get opportunities to present their work to other students, as well as to members of the community. They created their own museum exhibits relating to their family’s heritage and went into classrooms at higher grade levels to explain that they were selling “dress-down passes” to raise money for access to clean water in Kenya through The Water Project. 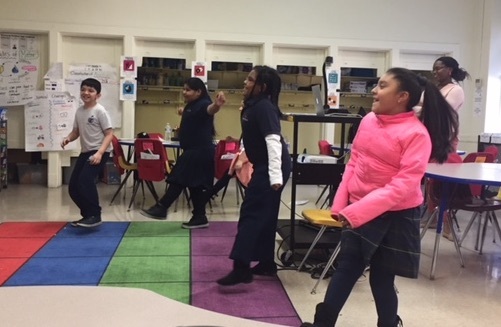 Students who barely spoke up in class have “risen to the challenge,” says Lindsey Allen, an inclusion teacher at Petworth who works with 4th- and 5th-graders. Still, Passante wanted to provide teachers with a “better work-life balance” by creating a “turn-key” curriculum. “It’s helpful to have a curriculum that you can just hand teachers,” she says. In addition to the focus on global issues and human rights, the lessons also focus on environmental sustainability. Each student has an English learner plan, which is similar to an individualized education program for students with special needs. And writing, speaking, listening and reading standards are identified with each lesson topic. That streamlined curriculum, including project-based units such as the museum exhibit, is one reason why Isabella Sanchez-Pimienta, who teaches EL students in 5th grade at H.D. Cooke Elementary School in DC, wanted to bring the program to her school. The expansion to H.D. Cooke in the Adams Morgan area of Washington — where ELs make up roughly 35% of the 400-student enrollment — is the result of a two-year federal dissemination grant that Center City received last summer. In addition to spreading a promising model, the grant is also intended to encourage collaboration between charter and district schools. Passante would also like to make the curriculum available to more schools. Sanchez-Pimienta adds that teachers working in the after-school program gain strategies that they can take back to their regular classrooms. Heterogeneous grouping is also an important element of the program, allowing students with stronger vocabulary and English language skills to serve as models for others. That’s why students who no longer necessarily need the services are still welcome to attend alongside those who are expected to be there. “What do you think the word persuade means?” Cecilia Mukira, an inclusion teacher at Petworth, asks the four students she has on this particular afternoon. “I think it means to convince someone to do something,” answers Steven Gonzalez, one of those students with more advanced skills. He then proceeds to act out a scenario in which he is trying to persuade his older brother to buy him some ice cream. The discussion is preparation for writing a persuasive letter about human rights to a government leader. ESL After the Bell students take a movement break before getting to work. Evaluations have shown that when EL students participate in after-school programs, they are more likely than non-participants to score higher on a statewide English test and to be redesignated as English proficient. "Across the county, afterschool programs provide ELL students additional time to build their literacy skills in an environment that offers individualized support, creates a sense of community, embraces students’ culture and provides integral services to care for students’ and their families’ overall wellbeing," according to Afterschool Alliance. 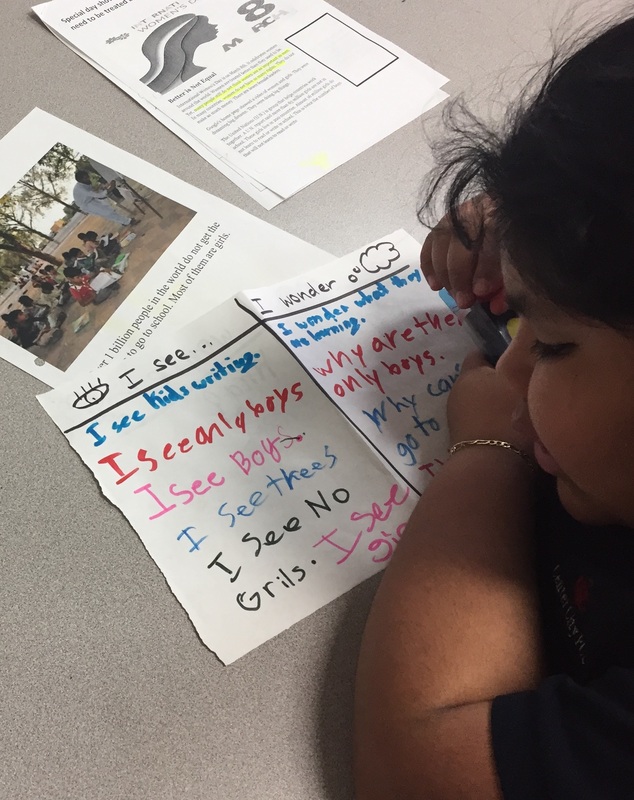 Other examples of after-school programs that specifically target ELs include Mighty Writers El Futuro, a Philadelphia-based program that engages students in reading and writing about topics that interest them. Another is La Prensa Libre de Simpson Street, a student-run newspaper in Monona, WI. The program is open to students as early as 3rd grade, and as students get older, they take on editing and leadership responsibilities. The students determine what to write and collaborate on articles. At Petworth, small group sizes — usually five or six students — also benefit ELs. “We are able to give these six kids exactly what they need,” says Stephanie Massaro, the special education coordinator for Center City and one of the ESL After the Bell teachers. Another adjustment that Passante made after a couple years of experience, which also keeps teachers from feeling overworked, was to drop the program down to twice a week instead of four times. Because the students enjoy the material, Sanchez-Pimienta says the program is still effective. Studies show that frequent and regular attendance in after-school programs is associated with positive social and academic outcomes, University of California, Irvine Professor Deborah Lowe Vandell writes in an article about her 25 years of research on after-school programs. But that doesn't mean the program has to meet five days a week, Rinehart says, adding that if leaders have clear goals and outcomes, and the instruction is intentionally focused on meeting those goals and outcomes, programs can show strong results.